The Hawaii Supreme Court heard arguments Thursday in an appeal that could determine whether an embattled multi-nation telescope project can be built on a mountain Native Hawaiians consider sacred or have to move to a backup site in Spain's Canary Islands that's less desirable to scientists hoping to use the instrument for groundbreaking discoveries. Much of the arguments centered around whether it was a conflict of interest for a hearings officer who made a key recommendation in favor of the project to be a member of a Hawaii astronomy center. The state allowed retired judge Riki May Amano to preside over contested-case hearings for the contentious project despite complaints from telescope opponents who decried her paid membership to the Imiloa Astronomy Center. The Big Island center is connected to the University of Hawaii, which is the permit applicant. Opponents appealed to the Supreme Court after Amano recommended granting the permit and the state land board approved it. "She should have never presided over the case," Richard Wurdeman, an attorney representing telescope opponents, told the justices. He noted the center included exhibits about the project planned for the Big Island's Mauna Kea, Hawaii's tallest mountain. Amano was just a casual member of the center, a "remote and tenuous relationship" that doesn't create an appearance of impropriety, state Solicitor General Clyde Wadsworth told the justices. Associate Justice Richard Pollack asked why Amano later cancelled her membership in response to the concerns. Wadsworth said the cancellation was not a concession of bias. This is the second appeal before the high court involving the Thirty Meter Telescope. Justices are already considering another appeal challenging the state land board's decision to allow the University of Hawaii to sublease mountaintop land to telescope builders. If the project can't proceed in Hawaii, telescope officials have identified an alternate site on the island of La Palma in the Canary Islands. But scientists prefer Mauna Kea. Scientists revere the mountain for its summit above the clouds that provides a clear view of the sky with very little air and light pollution. Supporters say it will also bring economic and educational opportunities to Hawaii. Justices also had questions about funding the multi-nation project, which had been previously estimated to cost $1.4 billion. It's impossible for projects of this magnitude to have full funding, especially when a site hasn't been secured, said Ross Shinyama, a lawyer representing TMT International Observatory. Certain nations won't commit funds until a site is selected, he said. A group of universities in California and Canada make up the telescope company, along with partners from China, India and Japan. Plans for the 30-meter (98 feet) diameter telescope date to 2009, when scientists selected Mauna Kea after a five-year, worldwide campaign to find the ideal site for what telescope officials said will likely revolutionize understanding of the universe. The project won a series of approvals from Hawaii, including a permit to build on conservation land in 2011. Protesters blocked attempts to start construction. In 2015, the state Supreme Court invalidated the permit, saying the board's approval process was flawed, and ordered the project to go through the steps again. Protests disrupted a groundbreaking in 2014 and intensified after that. Construction stopped in 2015 after 31 demonstrators were arrested for blocking the work. A second attempt to restart construction a few months later ended with more arrests and crews retreating. Shinyama asked justices to allow this "global and noble effort" to proceed in Hawaii. It's not clear when justices will decide on either appeal. Hawaii Gov. David Ige, who supports the telescope, said in a statement hours after Thursday's hearing he recognizes "our community has honest disagreements about this telescope and its place on Mauna Kea, and my administration has carefully followed the procedures required to ensure a fair consideration of dissenting voices." State supreme court rules that the US$1.4-billion observatory’s construction permit is valid, after years-long legal battle. 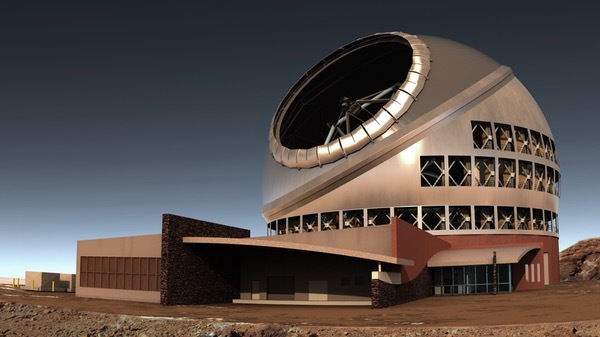 Hawaii’s supreme court has ruled in favour of building the Thirty Meter Telescope (TMT) atop the mountain Mauna Kea. The decision removes the last legal hurdle preventing the US$1.4-billion project from resuming construction on Hawaii’s Big Island. For years, the next-generation astronomical observatory has been mired in public protests and legal challenges. Some Native Hawaiians say that building the mega-telescope would further desecrate a sacred mountain that is already home to multiple observatories. In April 2015, protesters blocked the road to Mauna Kea’s summit as construction of the TMT was set to begin. That December, the state supreme court revoked the project’s construction permit, saying that the state government had granted it before opponents of the telescope could have their full say. Hawaii’s Board of Land and Natural Resources issued a fresh construction permit in September 2017, prompting opponents to appeal. The latest ruling upholds that permit. “It is a tremendously important and significant decision that provides secure legal grounds to restart construction of this transformative facility,” says Michael Balogh, an astronomer at the University of Waterloo in Canada who chairs an advisory committee that represents Canadian astronomers' interests in the TMT. A separate legal issue, involving the University of Hawaii’s sublease of land on Mauna Kea for the TMT site, was resolved in August. The state supreme court ruled in the project’s favour in that case, as well. Telescope opponents have few legal options left; they include petitioning the US Supreme Court. One of the groups opposing the TMT, the environmental advocacy organization KAHEA in Honolulu, said it was “disappointed” by the new ruling. “Thousands of Hawaiian cultural practitioners have affirmed the sacredness of the entirety of Mauna Kea,” the group said in a statement. TMT officials have been considering an alternative site for the telescope, in Spain’s Canary Islands, in case they cannot resolve the obstacles to building in Hawaii. It could take months before project leaders decide whether to go ahead in Hawaii, now that they have the supreme court’s backing. Among the issues they face is how to restart construction on Mauna Kea, given the protests that broke out the last time they tried to do so. “We remain committed to being good stewards on the mountain and inclusive of the Hawaiian community,” said Henry Yang, chair of the TMT International Observatory board of governors, in a statement. The TMT is one of three planned mega-telescopes that would push astronomy into a new era of ground-based observing. The other two — the Giant Magellan Telescope and the European Extremely Large Telescope — are both under construction in Chile. The TMT is a multinational project involving two universities in California, plus the governments of Canada, China, India and Japan. In Hawaii, the battle over how Mauna Kea is used may soon shift from the TMT to the University of Hawaii's master lease, which covers all the land on the mountain that is used for astronomical observatories. These include the Keck, Subaru and Gemini North telescopes. The lease expires in 2033, and Shelley Muneoka, a representative of KAHEA, says that the group is considering whether to challenge the lease's renewal. The Hawaii Supreme Court, by majority decision, today issued its opinion affirming the Board of Land and Natural Resources' decision to issue a Conservation District Use Permit (CDUP) for construction of the Thirty Meter Telescope (TMT) on Maunakea. Work on the telescope on Maunakea was halted in 2015 when the Hawaii Supreme Court invalidated the Conservation District Use Permit on procedural grounds. That permit had been issued by the Board of Land and Natural Resources (BLNR) to the University of Hawaii Hilo to build TMT on Maunakea. The Supreme Court returned the case to the Hawaii Circuit Court and instructed that a new contested case hearing be conducted. The contested case got underway in October 2016. There is, though, much more to the decadal than that. The astrophysics decadal, to a degree not matched by other such studies in the space sciences, also focuses on prioritizing development of ground-based telescopes for astronomical research, guiding future investments in them by primarily the National Science Foundation (NSF). “This is our only chance to be involved in these big telescopes for the US as a whole,” said Elmegreen. At last month’s meeting of the American Astronomical Society (AAS) in Seattle, there was a major push to win support for two observatories already in development: the Giant Magellan Telescope (GMT) under construction in Chile and the Thirty Meter Telescope (TMT) planned for Hawaii. Both observatories, dubbed extremely large telescopes or ELTs because of the sizes of their primary mirrors, are well into development and would seem likely to continue regardless of what Astro2020 has to say about them. That’s in large part because both observatories are private ventures. GMT is run by a consortium of universities and organizations in the United States, Australia, Brazil, and South Korea. TMT’s consortium includes universities and organizations in the US, Canada, China, India, and Japan. Those groups are responsible for raising the funding needed to build and operate those facilities. While those consortia include a number of major American universities (such as the Universities of Arizona and Chicago and Harvard University for GMT, and Caltech and the University of California for TMT) neither includes the NSF nor other US government agencies. That means, for American astronomers, they won’t have access to either the GMT or TMT unless they’re affiliated with one of those universities or have a collaborator who is. That’s led to an initiative to provide some degree of “open access” for American astronomers to those observatories. “What are our choices for the 2020s and 2030s?” asked David Silva, director of the National Optical Astronomy Observatory (NOAO), which operates several existing open access observatories, during a session of the AAS meeting. One option, he said, was for the NSF to stay on the sidelines and not support either GMT or TMT. “What that essentially means for the open access community—many of you sitting in the room—is that we will cede ELT science to the Europeans and to other GMT and TMT partners,” he said. The reference to Europe was to the European Extremely Large Telescope (E-ELT) under construction in Chile by the European Southern Observatory. “The other choice, roughly speaking, is an NSF partnership with GMT and TMT,” he said. 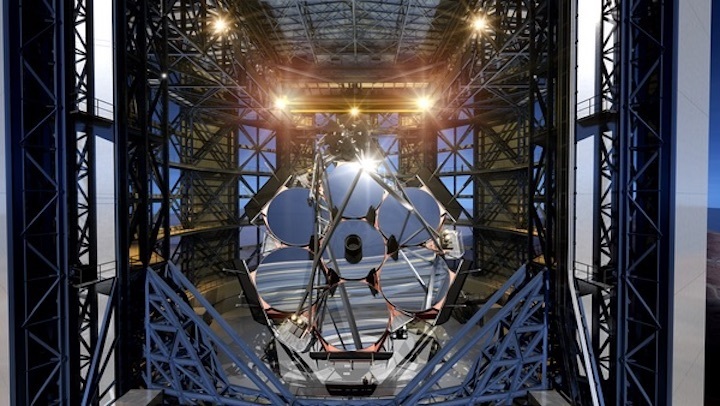 Under that concept, known as the US Extremely Large Telescope Program, NSF would provide funding to GMT and TMT in exchange for a share of observing time on them that would be available to American astronomers regardless of whether their institution is a partner in either telescope. The concept, as currently envisioned, would invest a total of $1 billion of NSF funding into the two telescopes, in exchange for a 25 percent share of time on each. “This sounds like a big number,” Silva acknowledged, “but this is consistent with investments that the NSF has made in last decade, last 15 years, to achieve major scientific facilities.” Among the examples he cited was the Laser Interferometer Gravitational-Wave Observatory (LIGO), whose discoveries of gravitational waves netted a Nobel Prize in physics, and the Large Synoptic Survey Telescope under construction in Chile. “There’s real advantages to knowing that the entire US community is behind us and will help us set appropriate priorities,” said GMT’s McCarthy. Later in that AAS session, astronomers discussed the science that GMT and TMT could perform, from studies of potentially habitable exoplanets to seeking the first stars in the universe. Much of that research, they noted, simply couldn’t be done with smaller telescopes, or would require so much observing time on them to be impractical. “You cannot do the proposed science here with smaller telescopes. It’s not actually possible,” said Quinn Konopacky, an astronomer at the University of California San Diego who studies exoplanets. A town hall meeting later the same day at the meeting also discussed the benefits of the US ELT Program to a standing-room-only audience (the free food and drink no doubt aided attendance.) “It quickly became obvious that the extremely large telescopes would be driving ground-based astronomy in the immediate future, and now is the time to get involved,” said Debra Elmegreen, chair of the board of Association of Universities for Research in Astronomy (AURA), on the planning that led to the US ELT Program proposal. Supporting both GMT and TMT, rather than just one of them, offers various advantages, she said. That includes coverage of the full sky—GMT is in the southern hemisphere and TMT is in the northern—as well as coordinating on instrument design. The two telescopes could also do “time domain” astrophysics, given the difference in longitude between the two. There’s also another practical advantage to the US ELT Program: money. Both GMT and TMT are working to raise money for their observatories, each expected to cost more than $1 billion, and neither is fully funded yet. An additional complicating factor for the TMT, besides the need to raise money, are political and culture issues. An initial effort in 2015 to start construction of the observatory atop Hawaii’s Mauna Kea was blocked by protestors from native Hawaiian groups, who consider the mountaintop sacred. Hawaii’s Supreme Court later revoked a building permit for TMT because of procedural issues by the state government. TMT went back and, through the state’s Board of Land and Natural Resources, received another permit to build the observatory. The state Supreme Court validated that decision in October 2018, clearing the way for construction of the telescope to start again. “Nothing that is being planned for space will be able to touch this science until probably the 2040s,” Konopacky said. TMT officials, speaking on background at the AAS meeting, said they’re working now to finalize the last permits needed from state and local officials before starting construction. That construction could begin as soon as the spring, they said, although they don’t know what sort of protests that new attempt might generate. They cited a poll last year, though, that found that a large majority of Hawaiians, including native Hawaiians, supported construction of the TMT. TMT does have the option of switching to a backup site on La Palma in the Canary Islands, and has been working to get permits in place there. Hawaii, though, remains the preferred site. Astronomers who are not involved in the GMT and TMT consortia are anxious to win NSF funding for open access to them because they promise to be the most powerful telescopes they will have access to for decades, including NASA facilities in space. While both GMT and TMT will enter service around the mid-2020s, the flagship mission selected in Astro2020 won’t fly before the mid-2030s—and perhaps much later, given the delays experienced by missions like the James Webb Space Telescope.